The range of TACTIKKA headlamps is designed for activities which might require a coloured light beam, such as hunting and fishing. The red light preserves night vision once the eye has adapted to the darkness and provides discrete lighting. Since it’s not blinding, this lighting mode is also practical for every-day use, such as checking on a sleeping child. Ideal for a pre-dawn start to a fishing day or for night time fishing trips. They are an essential piece of equipment for the keen angler. These headlamps offer discreet lighting, leaving the hands free to set up lines, organize gear, etc. 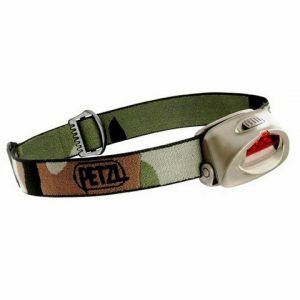 The TACTIKKA headlamp is compact, lightweight and comes equipped with a red flip filter which provides discreet lighting. With three LEDs and a single lighting level, it is simple to use and provides powerful lighting with ample burn time. Its beam can be aimed in the desired direction, for example to check equipment.